Nice closet of the beautiful brand Bloomingville Mini. 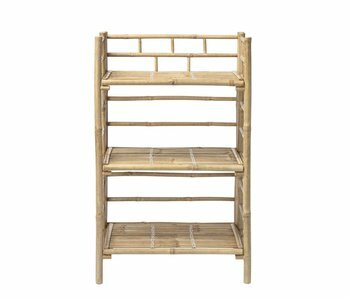 This Bloomingville Mini cabinet is made of bamboo and has shelves so you can store things easily. Size: L66xH105xW37 cm. Nice sofa from the beautiful brand Bloomingville Mini. 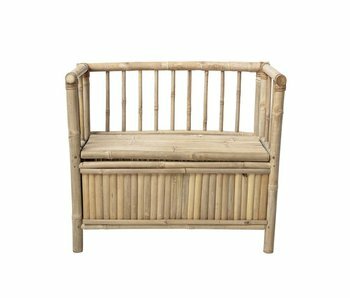 This Bloomingville Mini sofa is made of bamboo and has a storage compartment so you can store things easily. Size: L82xH71xW42 cm. 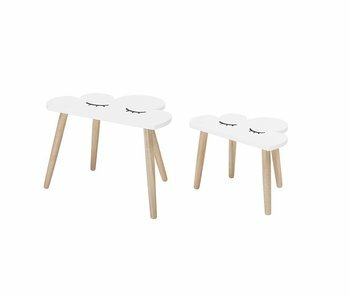 Nice tables from the beautiful brand Bloomingville Mini. This Bloomingville table set is made of seagrass and has a white plastic lid so you can store things easily. Dimensions: Ø35xH38 and Ø46xH50 cm. The new Sebra bed is a true classic! Danish design with a nod to the past. 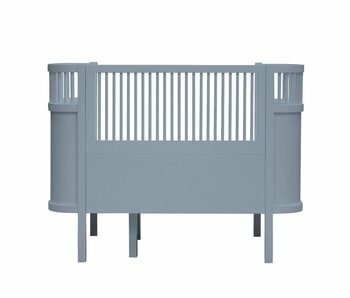 The bed can be extended so that it can serve as a cot and a junior bed. The mattress is available separately. See description for dimensions. Nice stool from the beautiful brand Bloomingville Mini. This blue Bloomingville Mini stool is made of wood and is 38cm long, 40cm wide and 60cm high. The seat height of the stool is 27cm. Nice stool from the beautiful brand Bloomingville Mini. This pink Bloomingville Mini stool is made of wood and is 38cm long, 40cm wide and 60cm high. The seat height of the stool is 27cm. Nice sofa from the beautiful brand Bloomingville Mini. 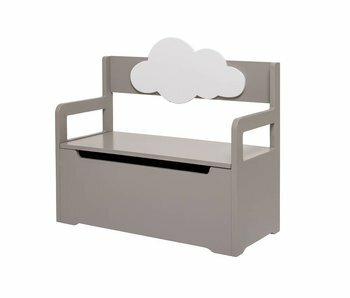 This brown Bloomingville Mini sofa is made of wood and has a white cloud on the backrest. The seat height is 24cm, the length is 62cm long and 26cm deep. Nice closet of the beautiful brand Bloomingville Mini. This gray Bloomingville Mini cabinet is made of wood and has 3 bins. Is 70cm high, 62cm long and 24cm deep. Nice combined with the rest of the Bloomingville Mini collection! Nice table from the beautiful brand Bloomingville Mini. This black Bloomingville Mini table is made of wood and is 45cm high and 65cm in diameter. Nice combined with the rest of the Bloomingville Mini collection! Beautiful closet of the beautiful brand Bloomingville Mini. This pink Bloomingville Mini cabinet is made of metal and has two shelves. Can also be hung on the fastening at the back. Beautiful closet of the beautiful brand Bloomingville Mini. This gray Bloomingville Mini cabinet is made of metal and has two shelves. Can also be hung on the fastening at the back. 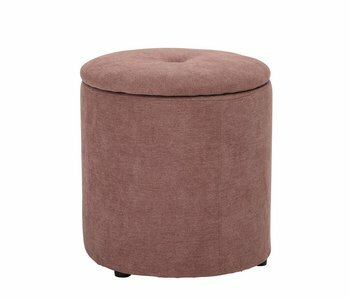 Nice pouf from the beautiful brand Bloomingville Mini. This pink Bloomingville Mini pouf is made of polyester. The cover is washable at 30 degrees. 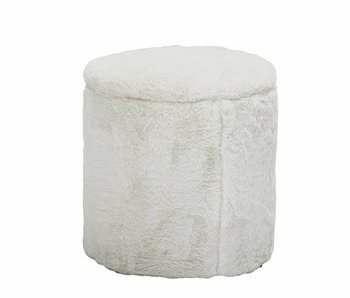 Nice pouf from the beautiful brand Bloomingville Mini. This blue Bloomingville Mini pouf is made of polyester. The cover is washable at 30 degrees. Nice bookcase from the beautiful brand Bloomingville Mini. 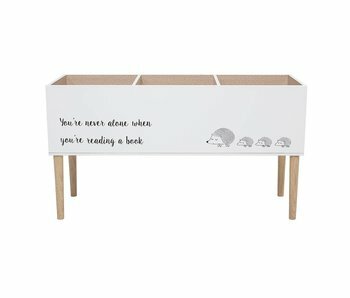 This Bloomingville Mini bookcase is made of wood and provided with compartments. How do you combine this cupboard? Nice side table set of the beautiful brand Bloomingville Mini. These Bloomingville Mini tafes are made of wood and have a cloud motif. How nice is that! Nice stool from the beautiful brand Bloomingville Mini. This Bloomingville Mini stool is made of wood and is 42cm long, 40cm wide and 38cm high. Nice stool from the beautiful brand Bloomingville Mini. This pink Bloomingville Mini stool is made of wood and is 38cm long, 38cm wide and 35cm high. Equipped with a handy storage compartment with a squirrel print. Nice stool from the beautiful brand Bloomingville Mini. This Bloomingville Mini stool is made of wood and is 30cm in diameter and 30cm high.